This is a pair of Blockade Buggy Rear Tires. 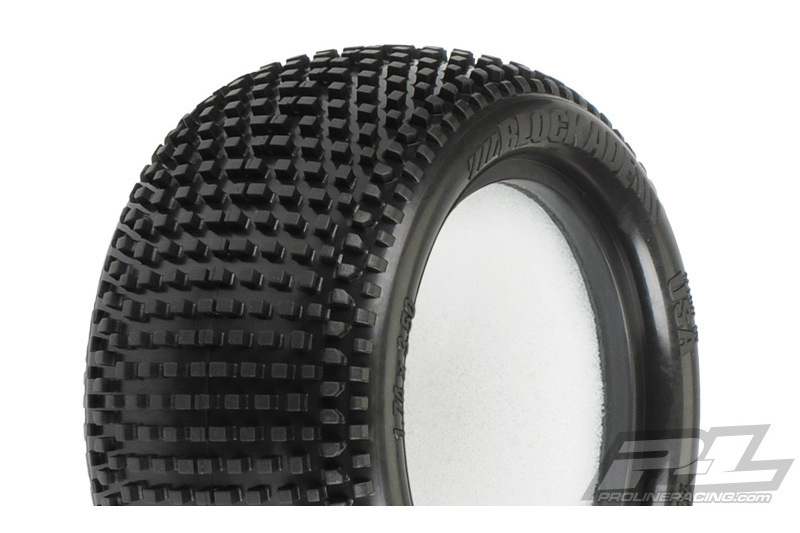 Pro-Line is bringing the incredibly successful 1/8 Buggy Blockade tire to 1/10 Buggy! 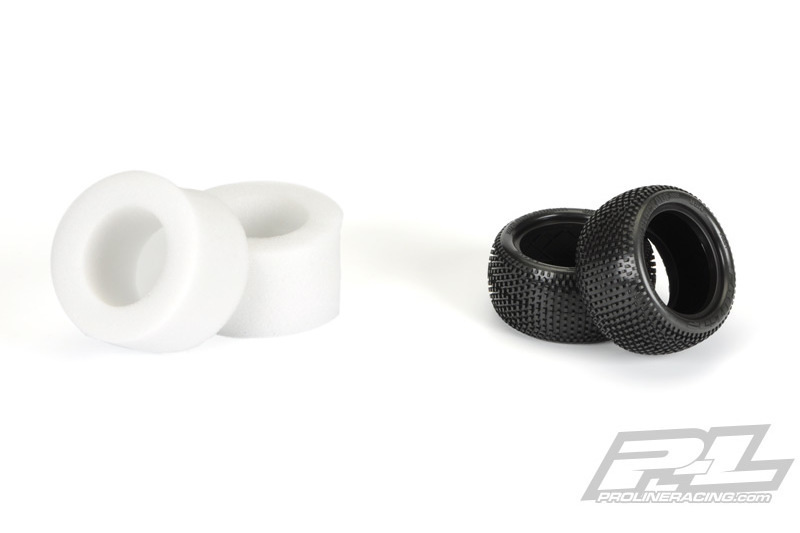 If you find yourself racing in loose, dusty or hard-packed conditions with your 1/10 Buggy - you NEED a set of Blockades! The Revolutionary tread design features large lugs for class leading tread life, perfectly balanced tread spacing for maximum forward bite and uniquely blended side tread that reduces the edginess found in other race tires. 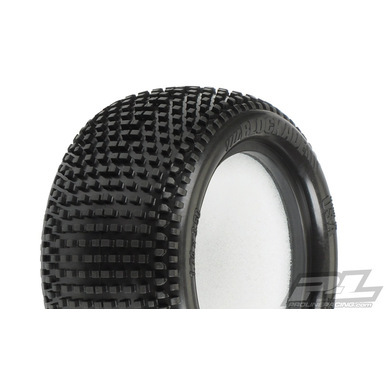 This tire will give your buggy qualifying speed with tread life capable of outlasting the competition. 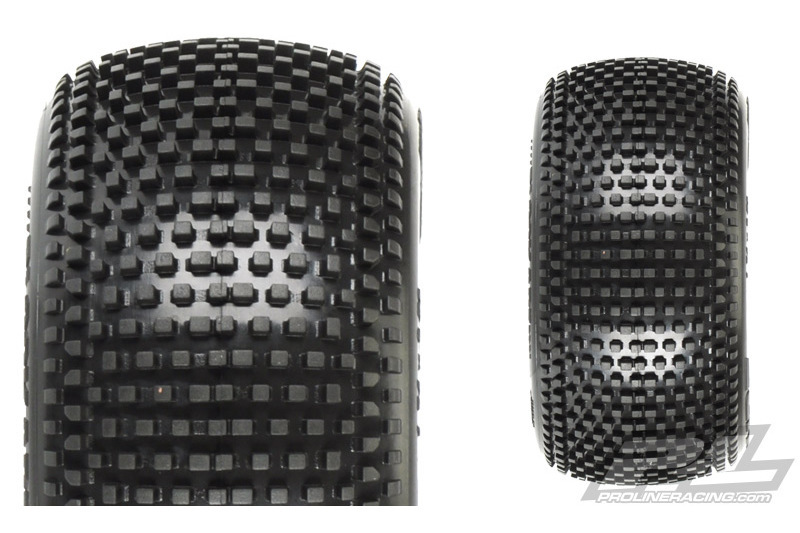 Pro-Line's Blockade is the new must-have 1/10 Buggy Race tire and will dominate your local track. The Blockade - The latest way that Pro-Line is Racing to Bring You The Best!